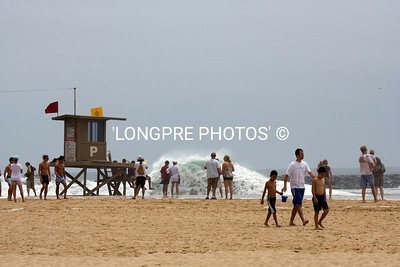 High surf at THE WEDGE, Newport Beach, Calif. 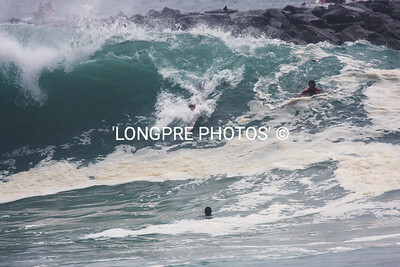 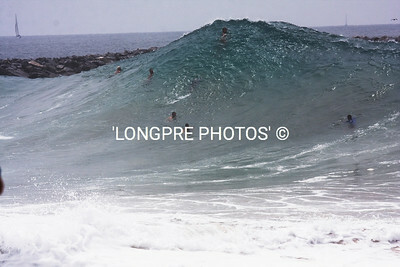 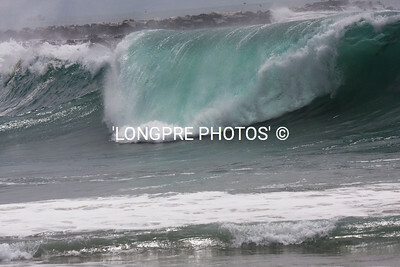 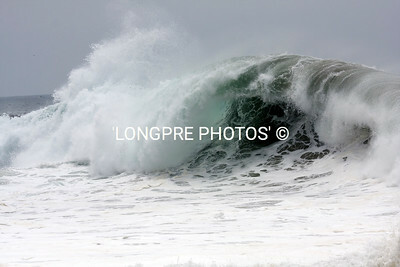 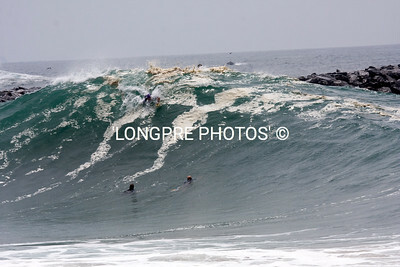 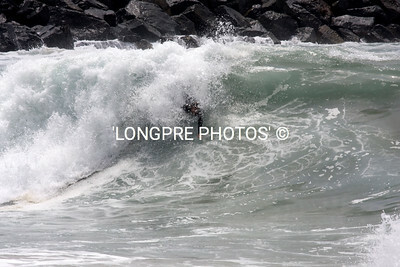 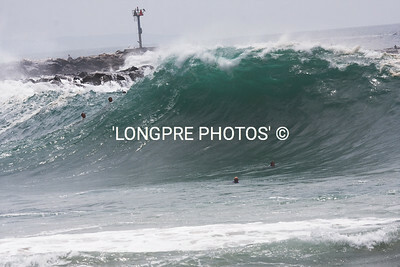 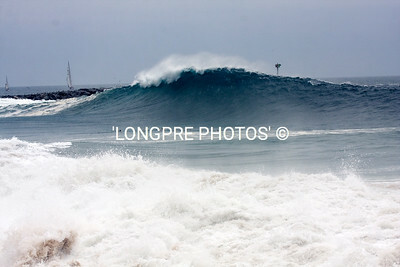 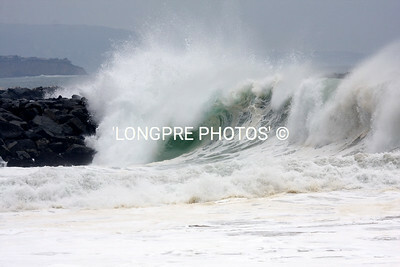 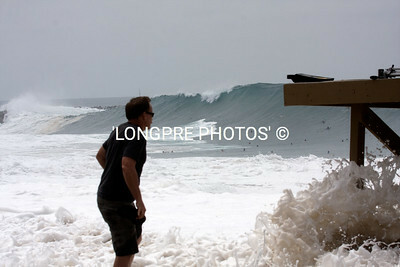 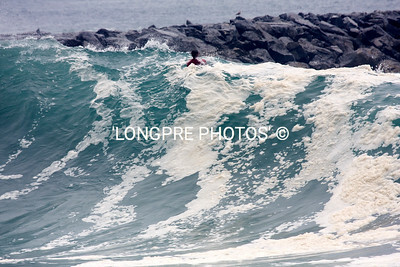 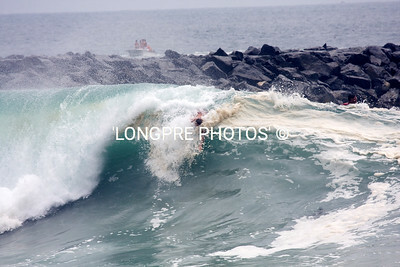 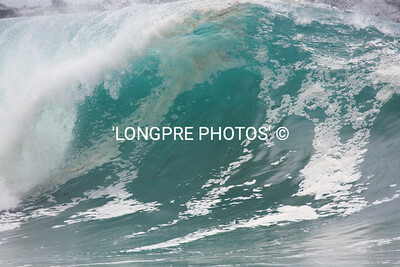 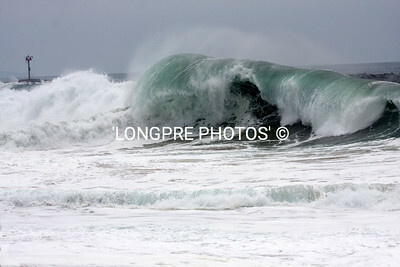 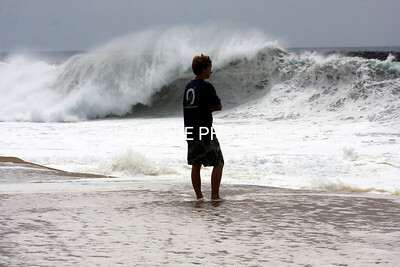 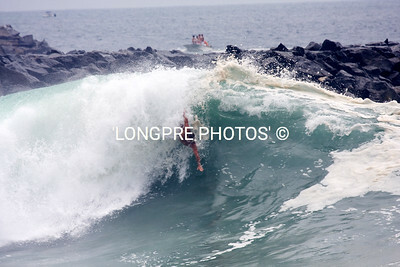 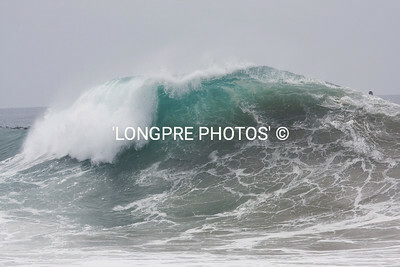 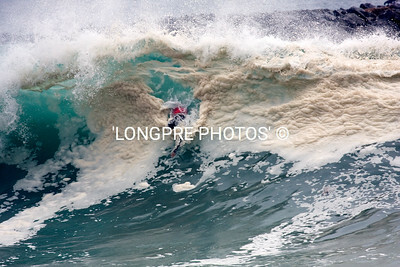 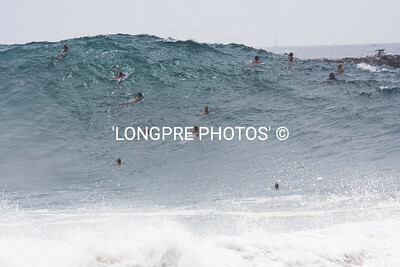 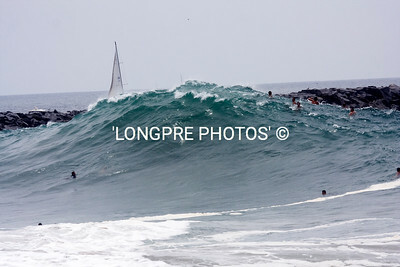 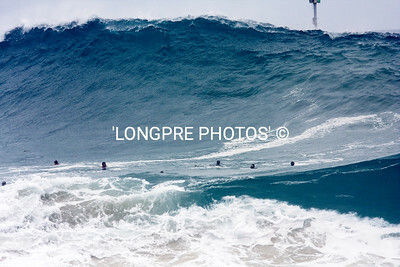 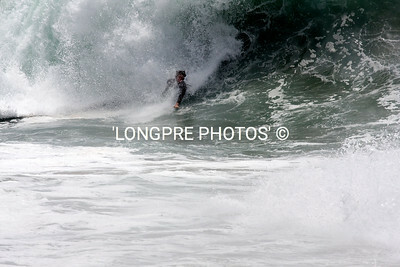 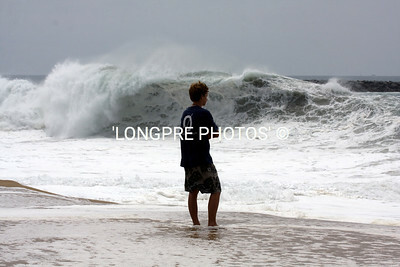 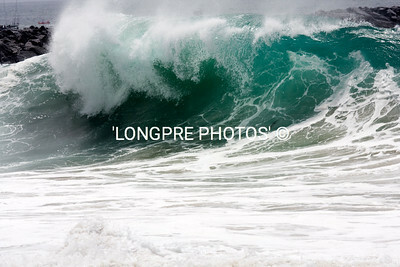 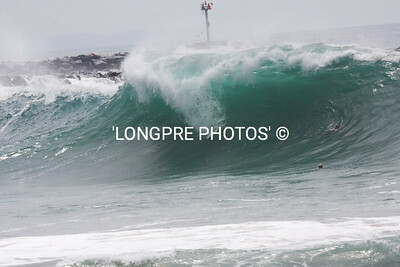 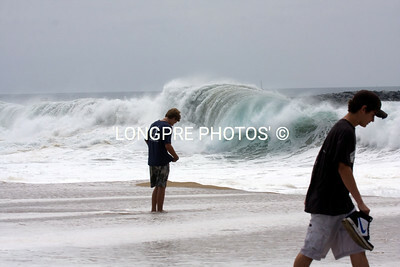 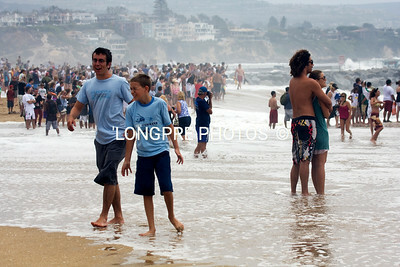 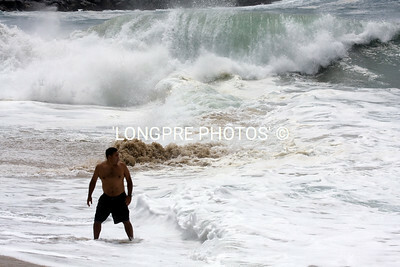 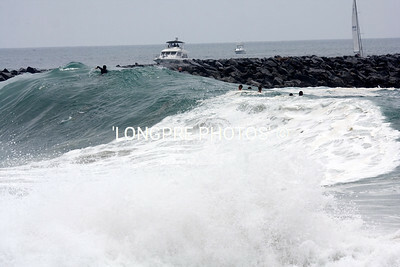 Shore break at THE WEDGE-Newport Beach, CA July 24, 2009 Fri. at noon. 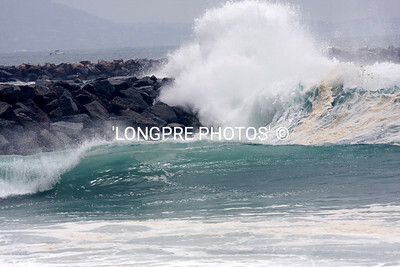 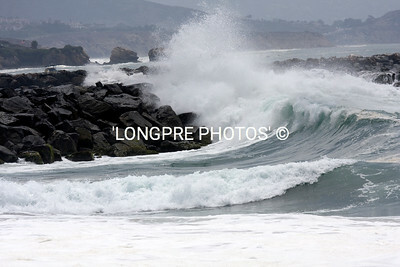 Wave breaking over NEWPORT JETTY. 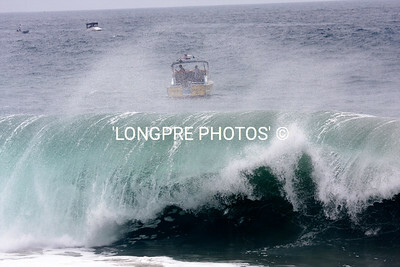 Newport Beach Lifeguard boat just outside break line. 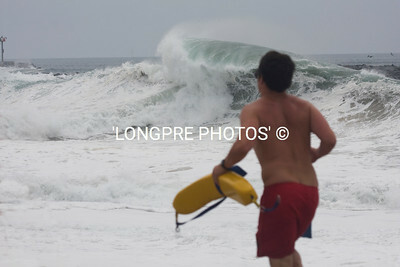 Life guard running to assist. 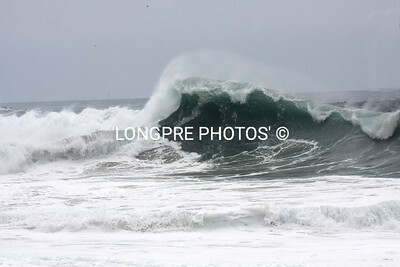 Difficult to enter and exit these waves. 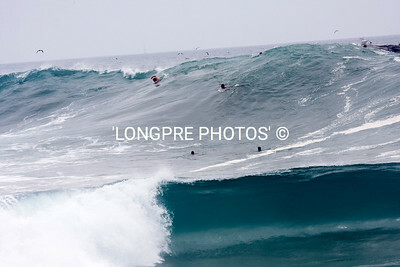 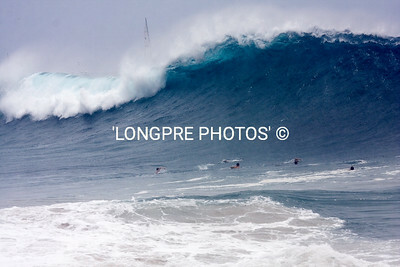 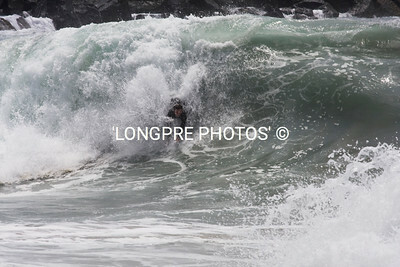 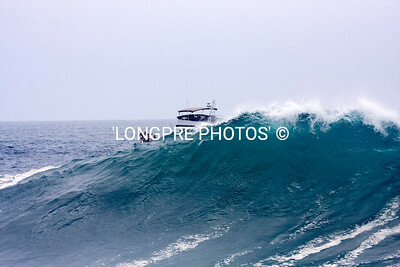 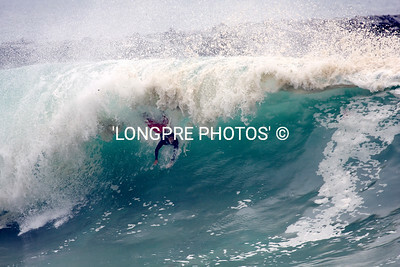 Man on top of WAVE. 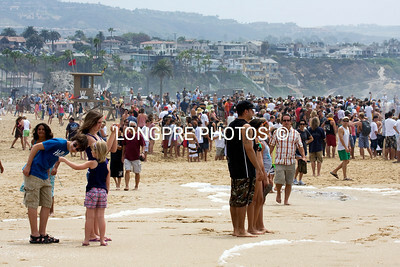 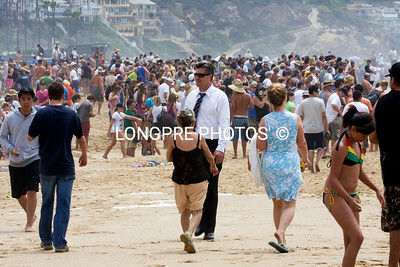 Large crowd of all sorts of people watching big waves.